Canadian fertility researchers claim to have found a link between the emotional state of a mother-to-be and whether she chooses to have one or multiple embryos implanted through IVF. Dr Christopher Newton, who led the study, said the research could lead to a better understanding for the need of good mental health as well as good physical health when trying to become pregnant. "Research quite unrelated to infertility - for example, in gambling or playing the lottery - had shown that decision-making could be influenced by particular mood states and by the individual tendencies of some people to engage in greater risk taking behaviour", Dr Newton explained. Women who were deemed to be in negative, more depressive moods when asked what they thought of their chances of multiple pregnancies believed it to be low. They also chose the more risky option of a multiple embryo transfer when asked to choose between that and a single embryo transfer (SET), taking the riskier option rather than chancing not falling pregnant at all. More positive potential parents on the other hand, were happier to choose the less risky SET option, though financial constraints and the parents' backgrounds were not taken into account. "If infertility patients were to gain a better understanding or the risks and benefits of transferring more or fewer embryos and the acceptability of SET were to increase, there could be huge benefits, not just emotional and physically to mothers and children, but also in terms of costs to healthcare systems," Dr Newton concluded. 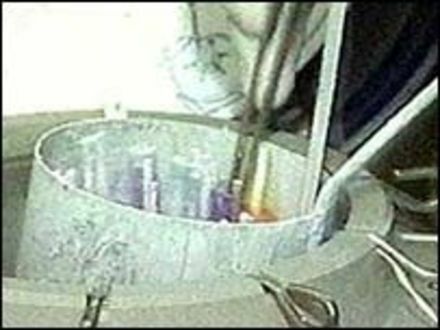 The idea of a SET is still treated warily by some couples looking to become pregnant because of the cost associated with IVF treatments. By choosing multiple embryo transfers, the potential parents boost their chances of becoming pregnant, though at a significant risk compared to SETs.